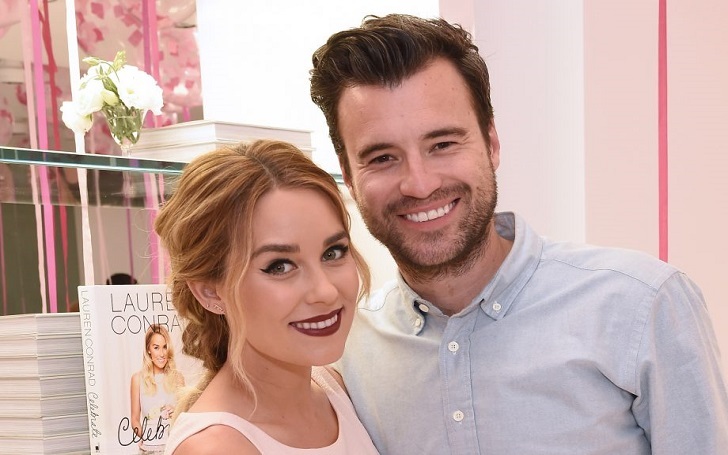 Baby on board for Lauren Conrad and William Tell! The Hills star and her husband nearly five years are expecting their second child together. The television personality, 33, took to Instagram on Tuesday, April 2, to announce her pregnancy, with sharing a photo of herself cradling her growing baby bump in a floral dress with a smile. She captioned the beautiful picture, "It’s been hard to keep this one to myself! Very excited to share that our family will be getting a little bigger this year." The pregnancy news comes more than six months after the actress exclusively told Us Weekly that she and William, 39, would "probably" have more kids, but "not right now." The Laguna Beach alum and the musician became married on September 13, 2014. Three years later in June 2017, the couple announced that they were expecting their first child, a baby boy, by sharing a sonogram image on Instagram. One month later on July 6, they announced the birth of an adorable son to their family with a photo of a cross stitch depicting her family.